I'm home! While this suggests overweening excitement, I'm already missing University - which is ridiculous, as I wanted to get home so much when I was there. However, I am reunited with my expansive collection of sunglasses, despite there being no sun to be seen. 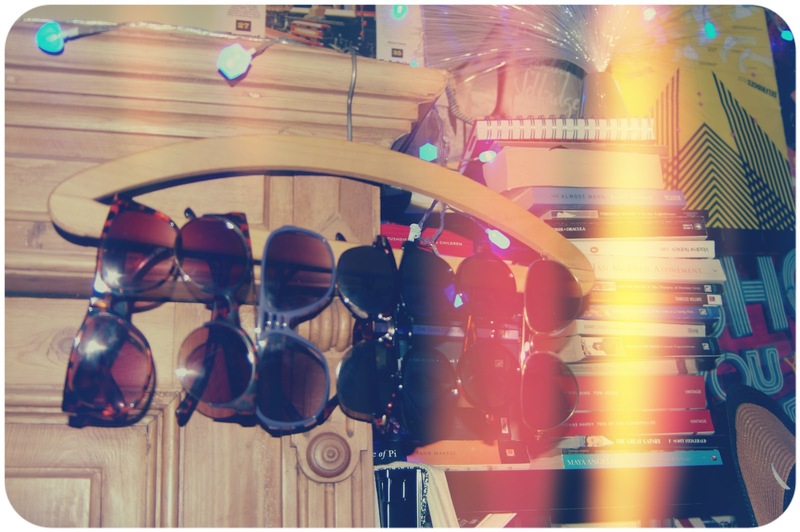 (I still have more sunglasses hidden away in a drawer somewhere.) I've put up my fairy lights and am feeling extremely Christmassy. I can't wait for the big day, so to speak! Although it's the build up to Christmas which is the best. When I'm back in Cambridge, it's my birthday as well so the festivities will continue and I'll be getting super-smashed to bring in my 20th birthday! This was just a short post to let you know that I'm being lazy with blogging, and being lazy with everything else as well. I have some exciting things coming up, so keep with me people!